Perfect for those summer storm blackouts, you'll never be stuck in the dark again with the 18V ONE+ torch from Ryobi. Whether stumbling through the house without power, or finishing a project with low lighting, the 18V ONE+ torch has a brilliant shining beam that will light up the darkness and help you find your way. This torch will ensure that you aren't using guesswork when working with dangerous power tools. Pivoting head to help you shed light on any task or project. As part of the cutting-edge ONE+ range of tools and hardware, your 18V ONE+ torch will also be compatible with any ONE+ battery. 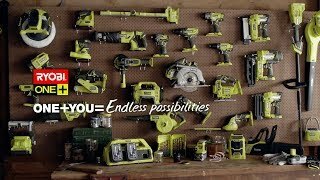 When you choose Ryobi, you choose innovation and convenience. To take home your very own 18V ONE+ torch, head down to your local Bunnings store today.